Kenpo Karate is taught worldwide and is based on the principles of physics and logic. As a member of this worldwide family, you will make friends around the globe, and your standardized training will allow you to move to a new area and not have to start all over again. 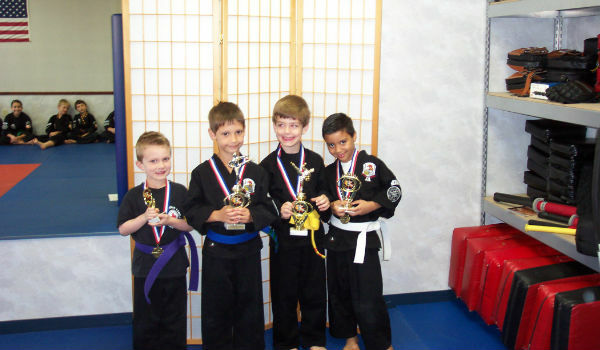 Children benefit from the structured class environment which emphasizes, self-control, self-discipline, fitness, goal-setting and rewards, verbal defense, anti-bullying techniques, and physical self-defense when all else fails. This age appropriate curriculum teaches focus, physical agility and strength, self-control, and respect. Self-defense techniques are taught to prepare these young students for the journey to come! 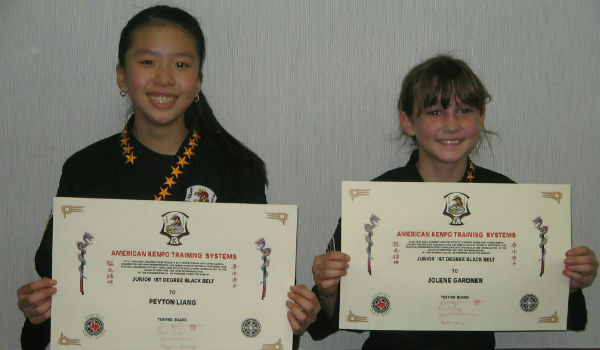 Junior Dragons advance on a challenging curriculum that emphasizes self-defense, abduction resistance training, and anti-bullying programs like Verbal Judo. 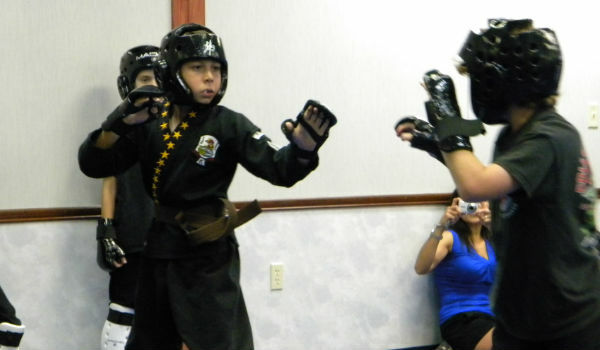 Free Sparring hones each student skills and prepares them for realistic encounters and situations including abductions. There is more than one way to deal with bullies. Getting the parents and teachers involved to put an end to bullying is one step, and should always be part of the solution. We can show you how to effectively take action! We all know that bullies will take advantage of times when there is no adult supervision to prevent the bully from their actions against others. There are several other strategies to help deal with these dangerous situations. Verbal Judo has been shown to be an effective first step to try and de-escalate the bullying. This non-physical approach is the same one taught to hundreds of thousands of law enforcement officers. The Verbal Judo program we teach is age appropriate, and helps diffuse, rather than escalate, these encounters. Just as importantly, Verbal Judo also gives the student specific instructions when it is appropriate to use physical methods to protect themselves from harm. We can also give parents tactics to deal with bullying problems at school and other organizations. 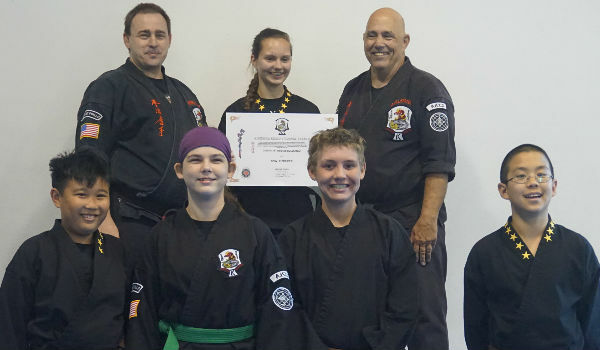 Kenpo Karate is recognized worldwide as the most complete and devastating self-defense program ever devised. Based on scientific principles of physics and logic, Kenpo allows the practicioner to adapt to any situation. We realize that not everyone wants or needs this extremely sophisticated system of self-defense, but for those that demand only the best, Kenpo stands alone. Don’t settle for watered-down sport martial arts that are not effective in actual street situations. If you get paid to fight, win trophies or belts, have referees or rules of engagement, then it is a sport, not real self-defense. We will prove this to you. The GOOD NEWS is that for what you might pay for an ordinary martial art, you can train in Kenpo! PROFESSIONAL TRAINING FOR SECURITY PROFESSIONALS! Professional security training from intro Level II thru Level III and IV. We can also provide specialized classes like advanced tactical shooting, advanced control techniques, OC Spray instruction and Baton training. We can customize class formats, and times to meet your needs, and your budget! We can add Texas CHL licensing to your employees and save you time and money, and make it more flexible for those Level IV Personal Protection Officers to and from duty assignments. We also offer Texas Law Shield Private Security Programs to protect you and your officers while on the job. All classes taught by PSB Licensed Instructors. Classes forming now! Call for more information. Does your organization have a tactically proven plan to respond to an Active Shooter attack? Odds are you don’t and odds are increasing that you need one. Our Cobra-Defense Active Shooter Response Plan (ASRP) was created in 2003. The ASRP workshop is a variety of drills and scenarios that pull from law enforcement training. They are proven to help people react with sound strategic and tactical skills despite the hysteria of an attack. Certified Firearms Instructors for Sport, Personal Protection, and Texas LTC. 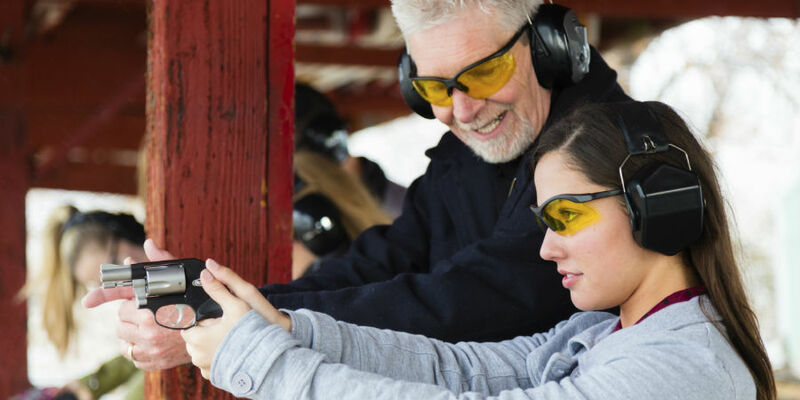 Our friendly and patient instructors will guide you through your firearms training whether you are a beginner or seasoned shooter who wants to touch up skills after a layoff. If you have been shooting for a while, you might want to improve your skills in a personal protection shooting class as well. We offer group and private lessons as well. We offer a custom-tailored seminar for the Realtor Industry! This seminar offers proven, tested strategies and techniques to help keep you safe while on the job. Most Realtors work odd hours and meet clients by themselves. A recipe for disaster, unless you are prepared. Why your cell phone won’t save you! Why the police can’t help you for at least 13 minutes, which is too late. Keys and pepper spray, and even handguns may not help! Key techniques to give you an upper hand! This is not a watered down karate or martial arts program! We will show you how to have a real advantage, and even eliminate some would-be attackers. We can come to your agency group, and offer group discounts!